We are pleased to welcome Hatem Naguib to the Barracuda family. He joins us as Senior Vice President and General Manager, Security Business. 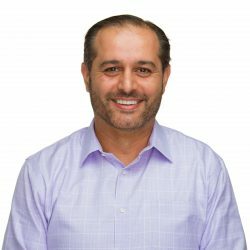 Hatem comes to us from VMware, and brings more than 25 years of experience with high-tech companies. Network Security: Barracuda NextGen Firewalls deliver advanced next-generation performance and protection. The Barracuda SSL VPN enables secure remote access for network users, from wherever they may be. Content Security: We offer multiple award-winning content security products. Barracuda Email Security Gateway, Email Security Service, Web Security Gateway, and Web Security Service. These solutions provide complete email and web security management for organizations of all sizes. Application Security: The Barracuda Web Application Firewall is the ideal solution for organizations looking to protect web applications from data breaches and defacement. Barracuda Essentials: This bundle provides multi-layer security, backup, archiving, and eDiscovery for Office 365 and other SaaS applications. Barracuda Email Security Service is included in Barracuda Essentials and provides customers with comprehensive email security for their cloud-based mail. This includes advanced threat detection, outbound email protection, email encryption, and more. Barracuda Total Threat Protection: This initiative is designed to help organizations of all sizes understand risk and secure all of their network threat vectors with real-time protection against advanced threats. We are looking forward to seeing Hatem's leadership in action. He has a history of success with VMware, CenterRun (acquired by Sun Microsystems), GE, The Walt Disney Company, and Accenture. You can learn more about Hatem from our press release here, and connect with him on LinkedIn here.